Native Speakers in over 30 European and Asian Languages. including Arabic, Chinese, Japanese, French & German. Unlike most Multilingual call centers which work on the cloud-based model, we deliver Multilingual call centre services from our office here in India, which now attracts the best talent from around the world. This helps us exercise better control over the quality delivered. 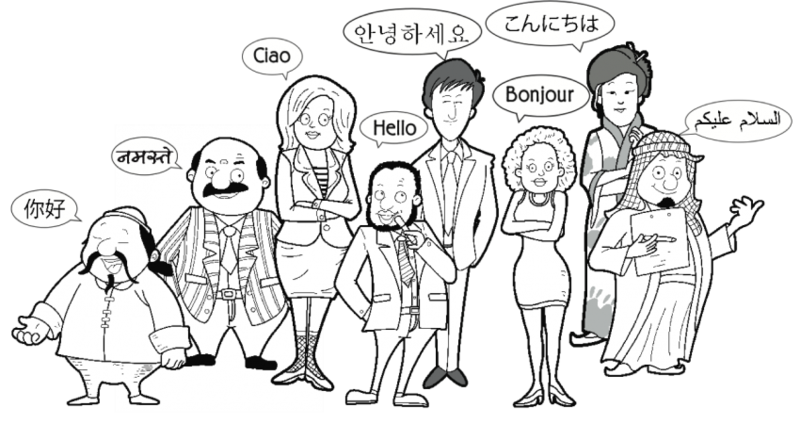 Currently, we are able to deliver support for over 30 languages including Arabic, Japanese, Spanish, French, Portuguese, German, Chinese, Italian, and Korean. We do have the presence in other locations in Asia, Europe and Latin America to cater to a wider array of lingual and scaling requirements. Given our network, we have the ability to quickly set-up new remote offices in the countries where we don’t have a presence already. Since our Multilingual Call Centre Agents are native speakers, they not only speak the local language but converse using proper, localized colloquial speak to make sure that you don’t just convey but connect. Their familiarity and understanding of local cultural nuances make your international shoppers feel like you’re just around the corner. At Live Salesman, we understand intrinsically how to connect with unique cultures. Several years of experience in providing Multilingual Customer Support to customers in different countries has given us critical insights into the traits and characteristics of local consumer behaviour and how to best deal with them. We will fill you in with this valuable information and will gladly share with you the best practices that we have observed, developed and implemented and will help you develop a relevant strategy as a part of our Multilingual Call Centre Solution. Thus, we help you stay ahead of your competitors and gain credibility in a new market. When you venture into a new market, it is important to regularly gauge how your new customers perceive your brand, what they think of your products or service. We actively seek this feedback during interactions with your customers and pass them on to you so that you get a deeper understanding of local market trends and can channelise your product development or marketing efforts in the right direction. As one of the most of trusted multilingual customer service outsourcing companies, at LiveSalesman, we take a focused approach to help you take your enterprise to new heights in a new country.